Kitchen gadgets have a way of multiplying and taking over every drawer, cabinet and shelf. If you’re anything like me, it becomes nearly impossible to find what you’re actually looking for because so much junk is in the way. And then you end up with 300 bag clips, 35 veggie peelers and 57 measuring spoon sets because you keep adding to the heap instead of getting organized. I recently went through a big purge and cleared my kitchen of all of the unused gadgets. I went through each gadget and only kept the best. 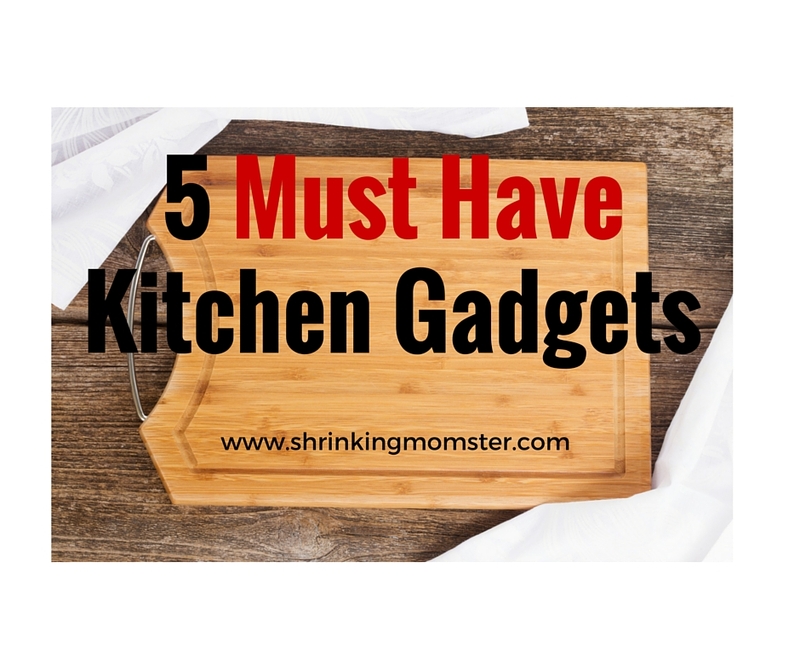 And I’m going to give you my shortlist of must have kitchen gadgets! Keep reading to find out what I kept and why you need to add these kitchen gadgets to your collection. Blenders and hot pots are not kitchen gadgets. Those are kitchen appliances. A berry basket? Also not a gadget. Here’s a hint: when you buy berries, they come in a basket already. This article was lazy click bait for your affiliated links. If you aren’t a fan of my writing, don’t read. 🙂 By the way, these berry baskets are designed to keep the berries fresh longer after washing them. They are a big upgrade from the baskets they com in. However, berries in my store don’t come in baskets. They come in clear plastic containers.